It's a sacrilege that the dog eats the bone hung on its neck to protect. Okezie Ikpeazu and Dave Umahi are bad eggs that must not be hatched. Abia, God's own state has been turned to the state of evil, murder, hunger and starvation. Same with Dave Umahi of Ebonyi state, penury and all manner of atrocities are going on under the watch of both Governors. State governors are elected as number one citizen to protect the interest of his people, see to the infrastructural development of the state and construct roads. 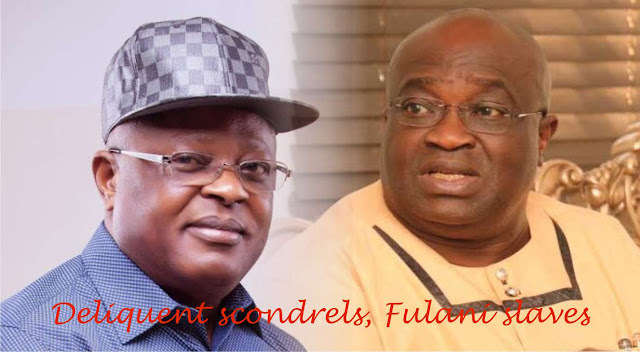 However, in Abia and Ebonyi states, the cases are in reverse. Okezie Ikpeazu has syphoned the state funds, he has nothing to show for his four years in office other than spillage of the blood of Biafrans. 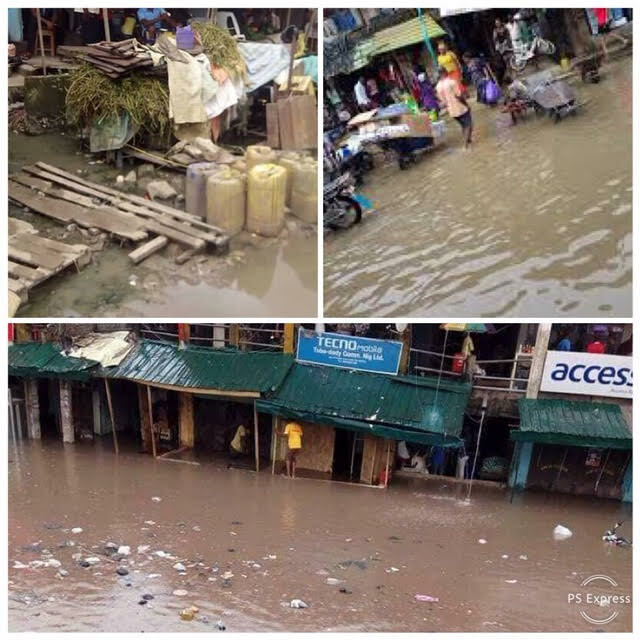 In Aba town, major and minor roads are death traps, potholes in these roads have been turned to pits, especially this raining season, these holes have been turned to dams. Abia civil servants and pensioners have been turned to beggars in the street, they can no longer afford to eat, pay their bills and their children's school fees because Okezie Ikpeazu refused to pay them close to two years now. Recall the protest by Abia State Teaching Hospital, Aba where doctors and nurses cried bitterly for none payment of there salary arrears by the state, hence such sensitive profession as doctors and nurses that save lives could come out to protest for none payment of salary, then how much more teachers, pensioners and other civil servants? Ariara international market that welcomes thousands of people and generates millions of naira on a daily basis has been abandoned and left in a sorry state, same as Eziukwu main market, Port Harcourt road, Ohanku, Obohia, Omuma road and others, these roads are now covered with flood and swamp that no passersby could walk freely, vehicles and trucks cannot pass through these roads without getting stuck. Dave Umahi has turned Ebony state to breed of almajiri beggars from the north and the home of Fulani herdsmen, the fourth deadliest terror group in the world today. The state has the highest Islamic school in West Africa that trains Islamic scholars for jihad in readiness at any time to kill Biafrans. These beasts that Dave Umahi feeds with Ebonyi state public fund and they're waiting for command so that they will perfect their Islamic onslaught on Ebonyi and Biafra land at large. The activities going on in the state, there is need to take Umahi to Hospital for DNA test to confirm if he has Fulani blood running through his veins. Civil servants and pensioners are dying in abject poverty in the state, cows are ravaging their farmlands, and they're killed if they dare to protect their farms. Both governors invited the Nigerian military to raid the homes of IPOB members in the name of operation Python dance 3, the same indigenous people of Biafra that have been fighting tooth and nail to free their lands from the murderous Islamic invaders yet they're campaigning for another four-year term in office. These governors must leave the governorship stool because they're not worthy to be the there. They've soiled their hands with the blood of the citizens they are supposed to protect. The wish and decision of the indigenous people are final and irreversible.